30A Area is a 20 mile scenic highway tucked quietly between Destin and Panama City Beach. Scenic Highway 30A has rare coastal lakes and over 25,000 acres of protected habitat. 30A is the birthplace of New Urbanism and is also home to the most beautiful beaches in the world. 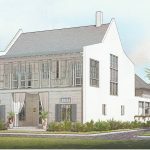 Luxury homes are abundant along 30A and include the premier luxury homes in Alys Beach, Rosemary Beach, Inlet Beach, Seagrove Beach, Grayton Beach, WaterSound, WaterColor, Seaside, The Retreat, Santa Rosa Beach, Blue Mountain Beach, and Dune Allen. If you are looking for a luxury home in South Walton, Scenic 30A should be your first place to look with many of the most exclusive homes featured in South Walton Luxury Homes.